If you have never had a dog before, you might be a bit confused about the term behind nail clippers. But don’t panic. We are here to give you some guides about it. 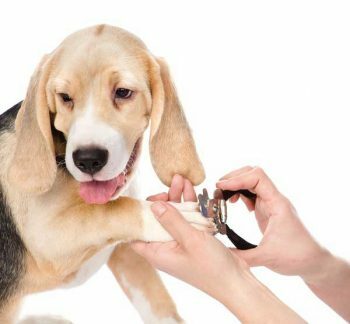 As a matter of fact, even if you are an old experienced pet owner and you know what nail clippers are, this article, will be by all means, useful for you. 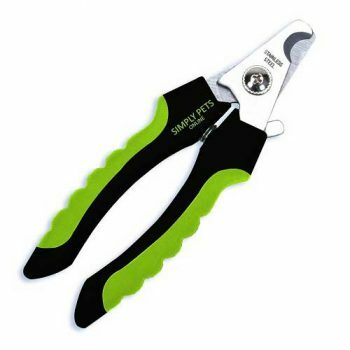 The following information is also suitable to all of you, who are trying to find the best dog nail clippers on the market. So, please, focus and concentrate, because the following material is just right for you and will provide you the right answers for you. The importance of nail dog trimming is huge. High level of hygiene, strong health and better appearance are only the common reasons we can point. But it is important to deeply discuss the problem, so none of you, dog owners, remain without truly understanding how significant this chore is. Let us start with the fact that 35% of the dog’s time is spent at the outdoors. The dog runs on various hard surfaces such as concrete and blacktop, for instance. Because of that its nails eventually wear down. They get damaged. Breakages – including painful (any girl knows how painful losing a nail could be). This is why regular nail grooming is so important. Like hair grooming and bathing, nail grooming is part of the hygiene routine any home dog must have. But does this mean a home dog that does not go out that often at the outdoors, does not need any nail trimming? Of course, no. Because any dog needs it. Long nails are not only ugly to be observed on a dog’s paw. They are uncomfortable for the animal. On the other side, as an owner of both: a dog and a property – long nails might cause you some inconveniences, too. The longer dog’s nails are, the bigger the risk to find your upholstery or other expensive interior and home item (personal belongings, too) becomes. Last, but not least, the dog will suffer if you let it remain with long nails. Specialists are certain that the pain is huge, when a dog has long and not trimmed nails. This means you definitely need to consider this chore as a very important one, like coat trimming, proper feeding, regular taking for a walk. What’s the biggest problem about dog nail trimming? It might be important, but no one says it is easy. There are many issues, when it comes to dog nail trimming. Dog nail trimming is a tough chore, especially if you do it yourself. And when you have never done it, it seems like impossible, doesn’t it? 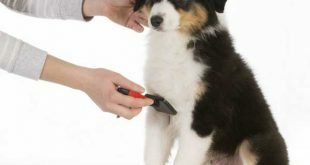 Of course, there is always an easy alternative for you to take your dog to a professional trimmer. He knows the ideal way to distract your puppy’s attention and to cut its nails with no problems and without using any force. The thing is that the biggest problem about dog nail treatment is to find the right time, way and tool to do the trimming. If you fail, you will cause pain to your dog. It’s not only this. Sometimes, it is very hard for an owner to make his or her puppy to calm down and to let its nails to be trimmed. There are owners, who need months to get used to the procedure. And what is more important to help their dogs to get used to it. Of course, rich experience, some tricky tips and more practice will help you out to eventually solve the dog nail trimming process fast. But having the right items is also a good start. 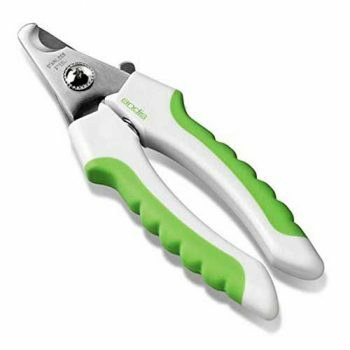 So now you realize at a full value how important it is to find the best dog nail clippers on the market, to get to know them and then, to choose the right for you. And it’s our job today…. What to look for in the best nail clippers for dogs? Nail clippers are the main accessories for the nail trimming chore. Find the best tools you can, because the rest of the accessories you will use are additional, helpful, not mandatory, optional. 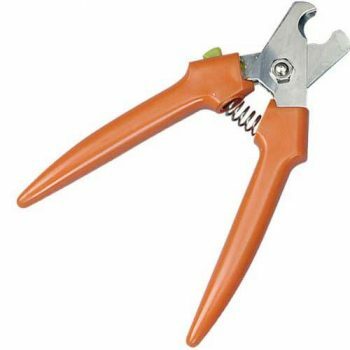 Nail clippers, though, are the main instruments you will work with. They are those that can either harm your puppy and still, let it with long and inconvenient nails, or let you cut the nails without your dog to feel any pain or discomfort. Sharpness is a factor you simply cannot miss. Probably, this is the top and the most important thing to consider when going to shop for dog nail trimmers. How sharp the blades are is a question you should not just ask, but also test. The thing is that sharpness is what determines the easiness and the fastness of the entire dog nail trimming process. Here’s an example: if you have bought sharp enough clippers, it will take few minutes to trim the dog nails. On the other side, not sharp enough clippers will waste you a lot more time maybe hours . As this will determine how fast and easy the process of nail trimming is going to be. Moreover – it is not only about your precious time. Because if you trim your dog’s nails too slowly, your dog will suffer more. So the sharper the blades are, the less the pain is. Find a really sharp clipper. Cutting something and using trimming products is always about safe, right? Well, there is no exception for our today’s topic. Moreover: when you trim someone else’s nails, it is harder, isn’t it? What can we say about a dog, then? A dog that cannot help us to do the task. So, in all cases, high quality clippers for dog nail trimming should be with a specially tailored secured mechanism. They might also have safety systems for protection against cutting any deeper than you need to cut from your dog’s nails. Such a mechanism, as you can see and guess, will completely eliminate all the risks of traumas and bleeding during the process. Only people, who have at least trimmed their dogs’ nails know what it’s like to do it. They can tell you how dangerous this activity might be. But you don’t need rich experience to have such a case that will show you how important safety for dog nail trimming is. You will figure it out the first time you do this. The dog’s comfort during the trimming procedure should not be underestimated at all. As a matter of fact, comfort can determine the rest of the factors. Think about how dangerous and risky ordinary dog nail trimming might be, if the dog is moving around due to lack of comfortableness. Any inconvenience caused to the puppy is a serious waste of time for you. And no matter how sharp the nail clippers are, the procedure gets still delayed. So, on mandatory, you need to consider the comfort factor regardless it is difficult to figure it. Dogs can’t speak to tell you. Yet, making a research as to how many dog owners claim a specific pair of nail clippers are comfortable enough for their dogs will give you the right answer whether to buy them, right? On the other side, through the years, practice has shown that convenient dog nail trimmers are convenient to be used for the dog owners. Also, they have some similar items or elements. 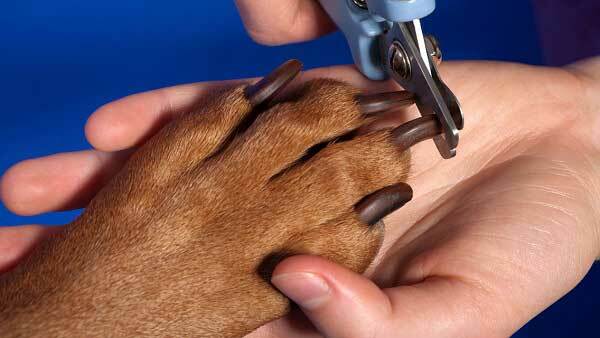 According to some specialist, the best dog nail trimmers, for instance, have a heavenly rubber grip. It gives you comfortableness by keeping hold of it even for prolonged periods of time. And, on the other side, the dog nail trimmers of low quality are with too poop grips. They makes your palms burn during the procedure, which as you can think off makes less comfort for the dog, too. 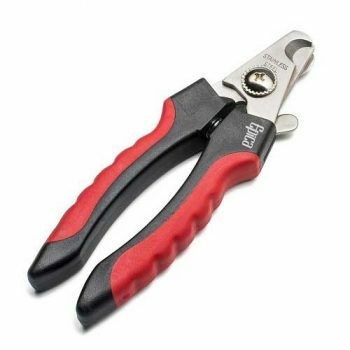 How to use dog nail clippers / trimmers? • Make dog nail trimming a regular routine. The more often you do it, the faster your puppy will get used to the procedure. Eventually, you will get used to the tricks for faster performance, too. Plus, this is how the nails will be really finely maintained in top condition. • Take your and your dog’s time. Give it a try with a single finger at first and let the dog relax for a while. Just like you, the dog needs time to get used to the entire procedure. Sometimes, the first times for trimming should be done by the professionals. • Be careful and slow. It is better for you to lose some time than harming your dog or ending up with so ugly nails. Consider it as a beauty procedure you would not be rushing to perform on your own body, either, right? So be that patient with your dog, too. 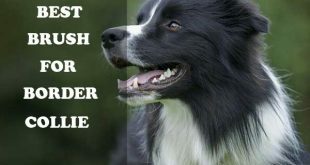 • It is hard to say how often you should trim your dog’s nails. There is no universal answer to offer to all of you, owners, and to all dogs across the world. It depends. Of course, the size of the dog is the biggest factor, but except for it, you should also consider the frequency of your dog’s stay at the outdoors. The longer it is, the worse the nails become. And this means you should be more regular in nail trimming in this case. • Use some extra help, if you need to. You can call someone else from the family to hold or relax the dog. During this time you will have free hands to finely hold the nail clippers and to be as precise in your work as possible. Don’t underestimate the help, because the truth is that sometimes, in a professional dog hair saloon, a customer might be also asked to hold his or her dog, while its nails are cut, even by an expert! Plus, in this way you will be able to fully concentrate on the trimming process, but not on the task to make your dog calm down: a good tip for people with nervous and too sensitive dogs, right? After making a decent research about this topic, we have ended up wit an improvised list of the best dog nail clippers all of you should consider. See our hot 10 top pick-ups and on mandatory, add them any of them to your shopping list, when you decide to fully equip your dog’s arsenal for stronger health and nicer look. It’s all about the nail clippers are made for, after all. Attention: the following list is not a chart, so there is no gradation of the features. We list the best dog nail clippers randomly and with no chronological special purpose. The good thing about this model is that it is not a single dog nail clipper or a pair of several of them. Dermel MiniMite is a whole grooming kit and you can use it for both: kitties and puppies. Also, you have a rotary tip and a guide for all the tools: when what to use, how often and etc. This means that if you are a beginner in the field, there is no need for you to learn the basics by some tutorials or videos in the web. Just have this kit and you’ll get both: explanation of the entire grooming chore and the instruments to perform it. Another awesome thing about this tool is that it is electric. No mechanic job is needed: one more benefit for all the beginners in the field. You can be a dummy in nail trimming, but still get used to trim your dog’s nails. There is a charger for the batteries. All of these make the high price logical, so a consumer can and should get over it: pay more, but receive pro kit of nail grooming. Plus – let’s not forget that sometimes, the cheap products become the most expensive ones. The design of this classical nail trimmer seems to be too ordinary, but don’t underestimate it that soon. As a matter of fact, the manufacturer has made a long-term research about the most optimal shape and mechanism traditional dog nail trimmers have. 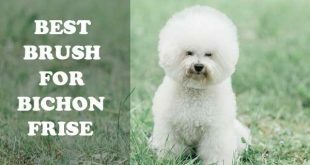 As a result of these researches we get a wonderful tool made of top quality materials (durable and reliable) and 100% suitable for any dog breed. Plus – the usage is easy and you don’t have to read unnecessary guides. 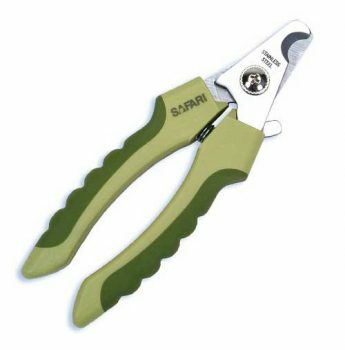 So, if wasting time in getting informed about how to use a dog nail trimmer, but you only need to do your job, Safari is your thing. In addition to these, the model is typical for its extra sharpness. Be sure that this is a choice you will not regret for. Last, but not least, the trimmer is really fine for big dogs, which is a feature that might not be found in all of the today’s dog nail clippers. Ok, first of all Epica is an extremely budget-friendly alternative for domestic dog nail trimming. Also, according to the users’, its is quite simple to work with. The reason, is probably, hidden in the convenient handle or the adjustable design. You can opt for both: medium and large size depending on your dog size, as well as your hand size. In case you are not satisfied with the product, you can claim for 100% money-back guarantee. Epica respects this policy of work, so do not worry: if you don’t like this nail clipper, ask the company to give your money back. However, we don’t think you’ll be disappointed. As a matter of fact, it beats the competition with the perfect sharpness, too. And we have already mentioned you how important for a dog nail trimmer to be sharp. If not, the process of trimming becomes really annoying for you and painful for the dog. We recommend you this model of dog nail clippers, because it has a universal shape and mechanism that suits both: dogs and cats, as well as because of the audience’s positive reviews. According to the results of our quick research, the consumers of this company are satisfied with its products. They can truly rely on it. As to the specific things about the product, itself, it has professional look and is claimed to offer truly high quality, durability and simple maintenance, which is why lots of expert dog nail grooming specialist rely on this particular tool in their professional work. Not only the heavy material, but also the perfect producing approach turns this awesome trimmer into a good example for a fine dog nail clipper. Classical design, low-cost price and the availability of the three factors for a good dog nail trimmer: comfort, safety and sharpness makes this tool a perfect choice for you. Even though traditional, the design is cute and sweet and we have noticed that owners, who take care of decorative dogs truly love the Andis instruments. Probably, the only weak point here is that small-size dog owners will not be so eased to use it. We are definitely recommending it for larger dogs. There are a lot of videos with Andis trimmer tutorials, so as a beginner you can take benefits of them at a full value and for free. 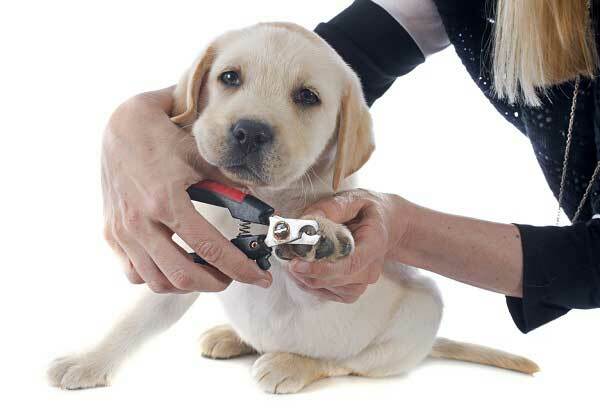 Watch them to make the best first attempt to cut your dog’s nails with the Andis pet trimmer. If you have your own favourite video, make sure to share it with us, too. We will be happy to see it. Attention: we present you one of the leaders in dog nail trimming industry…and not only. The truth is that GoPets company is a well-known player on the pet accessories industry. And this makes the product even more reliable, doesn’t it? Indeed, the trimmer is one of the most popular models among all dog nail trimmers and what is even greater is that the price is quite affordable (not the lowest one in the market, but yet worth it for the quality you receive). Speaking of which, here is where we need to add that GoPets really love making discounts on their products round the entire year. 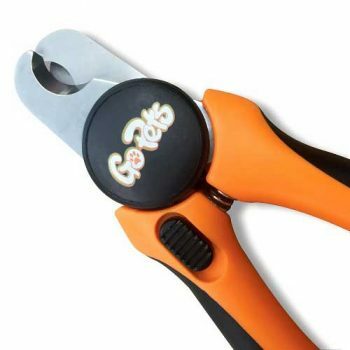 So if you are lucky enough, you might even buy the tool at a price that is as low as the the price of the cheapest dog nail trimmers today. Not bad, right? We believe you will be very pleased with this product as it is rated as the best by customers from all over the world. If you are looking for a high quality trimmer with a style that imitates scissors, Trim-Pet company has the right alternative for you. These nail clippers are modern, handy and really cool. The price is not as affordable as you can expect. You can find more affordable products in the market. However, this one represents supreme quality you might be thrilled to test. Moreover: if you have a small-size dog, you should rely consider buying this trimmers. It is a good thing that they are easy to be found in the web, as well as in the big zoo and pet stores. Speaking of the high price, to reduce your expenses, you can follow our advice. Simply, visit the official supplier’s website. Here is where you will find some vouchers or coupons for discount. Amazon provides extra discounts on the product once in a while, too. 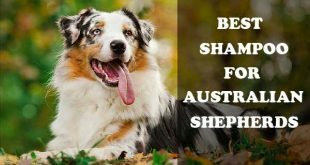 So if you urgently need a cheap, but high quality trimmer, browse the web for the best Trim-Pet offer and you might end up with a really good investment for your pet. Some consumers might look for heavier and tougher tools for dog nail trimming. If you are one of them, the Millers’ tools is just right for you. There is nothing so attractive in its design. It represents the classical scissors-style. However, being less ergonomic and so handy, you will find it quite easy to use and even easier to clean after each time you trim your dog’s nails. What we have read across the web is that Millers is usually chosen by owners, who have big-size dogs. 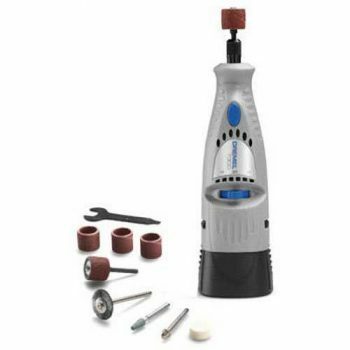 On the other side, consumers claim that this is a good choice, when it comes to stable and durable tools. An instrument like this is a guarantee you will always have something to trim your dog’s nails. And if simple design is completely enough for you, go for this model and rely on the high quality instead of the attractiveness. After all, the nails of your dog should be finely and attractively trimmed, not the tool you will do it with. 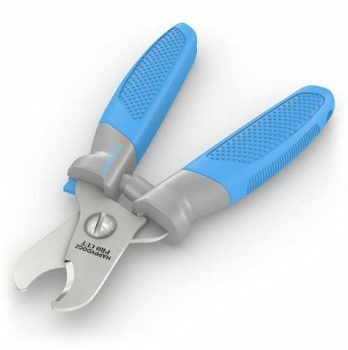 This is a durable trimmer that comes with a simple style of a plier. It is very comfy to be hold and used. Moreover, it has spring-loaded cutting mechanism that turns the nail trimming into a very easy thing – regardless what your experience is. 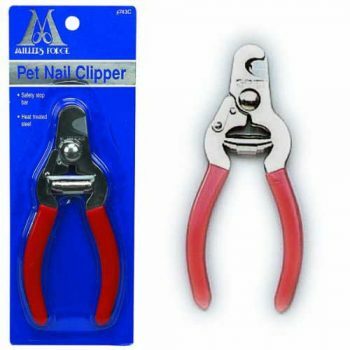 This model of nail clippers can be used for just about all sizes of dog except very large breeds. The stainless steal is a guarantee for long-lasting operation with the tool. Why changing the nail trimmer every year, right? Built-in guard can be moved into position to prevent the overcutting of the nails and there is a lock to hold the trimmers closed for storage and maintenance. As to the price, you will find it very low and budget-friendly. In most cases, heavy trimmers come at a higher price. Plus – with an additional discount, you will be able to make some savings. Of course, we believe, though, that their biggest benefits is the fact that you can use it for both: small and giant dogs. Probably, this is why, many professionals in dog nails trimming are buying it. 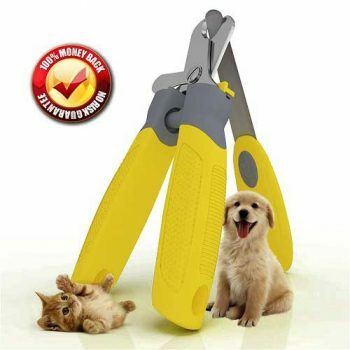 Last, but not least, we present you one more nail trimmer that can be used on both: cats and dogs. This is why you can also apply it on most common dog breeds, regardless their size. You do not have to apply any effort or power to cut your dog’s nails. It is very to handle the situation with this tool. It is definitely convenient and easy to be maintained in top condition for longer time. The curious thing about the Pro Cut Pet Nail Clipper is that it has been designed by a professional in the sphere of pet nail grooming. Another awesome and different thing about this trimming instrument is that it comes with money back guarantee that last for quite a long time. Attention: you have 10 years to consider if you are satisfied with the tool. If you are not, within this time, you can apply for your money to be refunded. Awesome, isn’t it? Nail trimming is an important chore you should provide your dog on mandatory. It is a guarantee for ideal hygiene and good look. You will save your puppy a lot of pain if you perform the dog nail trimming on a regular basis. And for yourself, you will save money. The truth is that professional dog nail trimming is not a cheap service. And paying for it every month might not be that affordable for you. On the other side, finding the best dog nail clippers is as important as cutting the nails often. It is, indeed, hard to orient on the market about the best product in the sphere. However, it is not tough at all. Simply, follow our tips from above or just chose any of the 10 products we have provided you in the list of the best dog nail clippers. Good luck and get in touch with us if you need some more additional information about the topic.